I recall speaking to a publishing industry insider who once proclaimed that anyone venturing into the world of publishing was swimming in precarious water. “You can’t defy the odds,” he said. “Publishing is fraught with all sorts of pitfalls.” One of the few companies that has defied all odds, growing every year and earning the respect of publishers, authors, and other industry professionals, is Poisoned Pen Press. 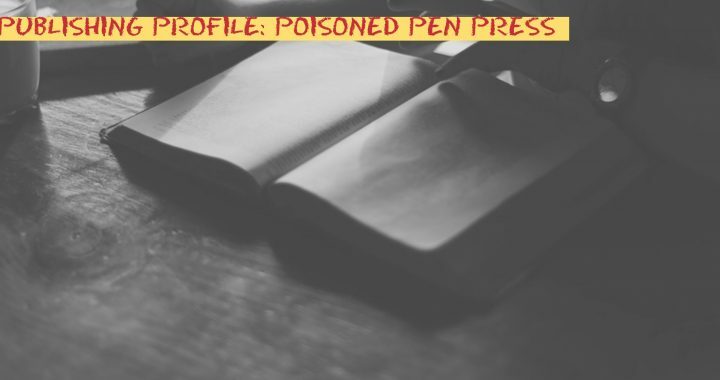 Poisoned Pen Press was established in 1997. Founders Robert Rosenwald and Barbara Peters, the owner of the legendary Poisoned Pen Bookstore, didn’t aspire to create a publishing company that would rival the “big five.” Their goal was to publish works that were diverse and daring, that broke the cookie-cutter mold of traditional mysteries and thrillers. And they succeeded in doing that and more, publishing works ranging from an offbeat thriller set in Botswana titled Danger Woman by Frederick Ramsay to Jack The Lady Killer, a novel in verse by H.R.F. Keating. For their contribution to the publishing genre, in 2010, Barbara Peters and Robert Rosenwald received the Ellery Queen Award from the Mystery Writers of America. Posted in Blog Article, News.